These are two of my first Christmas Cards this year. I really like these cards, I think they really cute. I usually spend an evening prepping a batch of cards. I then put them all together in one go. I think this works particularly well for Christmas cards. 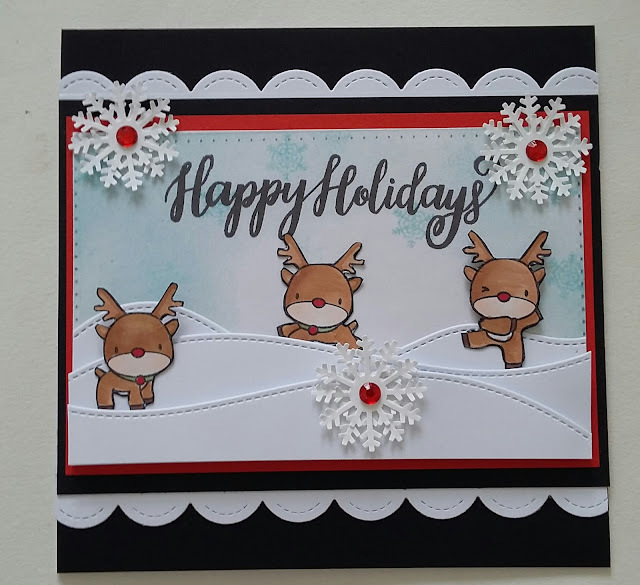 Below is a list of items i have used to make these card. 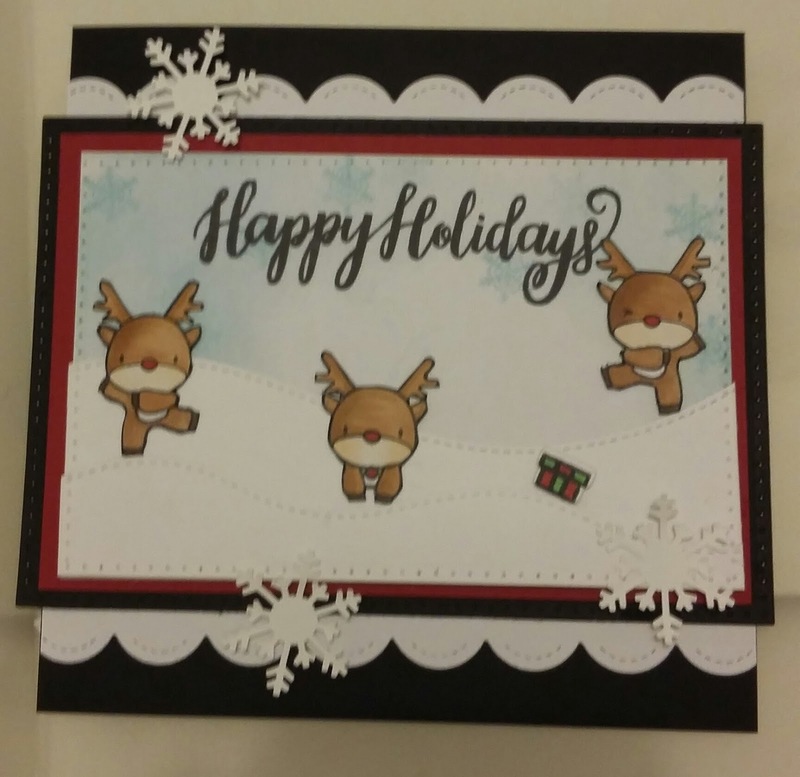 Stamps: Mama Elephant Reindeer Games. Lawn Fawn: Stitched Scalloped Border Die. Body & Antlers: E33. E35. Collar & Parcel: YG63. R29. but I just fussy cut them out. Once cut out, I run a black Copic marker round the edge of each Reindeer.